Plantronics MDA490 QD Cable is a device used together with 6-pin stereo QD headsets, specifically the Plantronics EncorePro Digital Headsets. 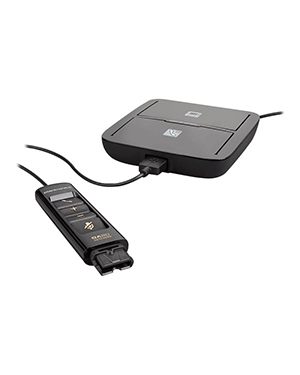 When connected to a Plantronics headset, this device helps in delivering advanced audio experience, especially when used with Plantronics Manager Pro, an additional software service used to give out analytics from softphones and deskphones. 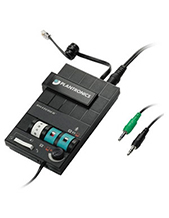 Plantronics MDA490 QD Cable plays an important role in providing users with reports on call events and operations, for more efficient call handling and management results. With users benefitting from top-notch Plantronics software technology, this device can even empower that combination better. 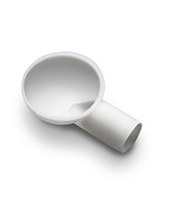 Talk to our company expert for more details how to purchase this product. Call Australia wide 1300 131 133 today! Plantronics, headquartered in Santa Cruz, California and supported by approximately 5,000 employees all over the world, is a specialist that offers wide selection of products and solutions as part of the company’s powerful product portfolio. Some of its popular offers include Small Business Communication Solutions, Contact Centre Solutions, PC Audio Devices, Digital Enhanced Cordless Telecommunications or DECT, Gaming Headsets, Enterprise Solutions, Bluetooth Devices, Unified Communications Solutions, and Office and Home Headsets. Plantronics was established in the year 1961 in an effort to produce lightweight headsets in the world of large and bulky headsets. Being the one responsible for doing so, the company did not just introduce lightweight headsets for pilots in the 1960s but was also responsible for Neil Armstrong when he became the first human to set foot on the moon. Armstrong was using a Plantronics headset when he uttered his famous line and this has cemented the role that the company played in the global market. Named as one of Australia’s reliable consumer electronic products, Headsetsonline started as a part of a company that has been providing corporate sectors and government agencies with high quality audio and sound products and solutions in order to support their operations and transactions. Headsetsonline has performed excellently in the market, providing high quality products and solutions by choosing Australian distributors compared to grey imports. These products and solutions are coupled with warranties that can be used all over Australia. In addition to these products and warranties, the company also provides high quality services that have been structured to provide customers the best technical support to help in the operation of their products and solutions. 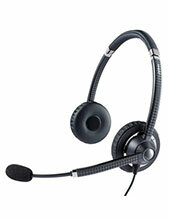 Headsetsonline uses its secured and enterprise-encrypted site, Headsetsonline.com.au, where customers skim through the entire product portfolio and check out the products and solutions they need without having to worry about their private information getting stolen for identity theft and the similar crimes.